E.g. in the "Key-ID" column of the main window. 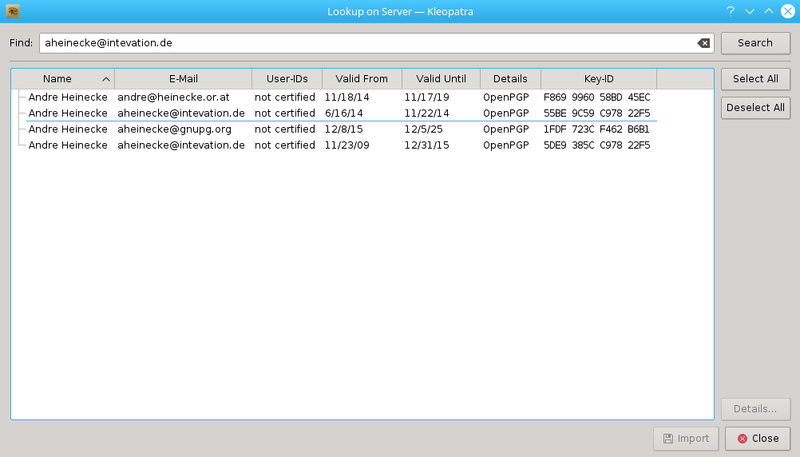 aheinecke added a commit: rKLEOPATRAf76ded8c6f61: Fix lookup dlg by porting it to keytreeview. Finally changed it. Especially for keyserver search this was important.